Here’s an audio piece that begins in the midst of a common life event: when a son leaves home to go off on his own independence. While this leave-taking could be for a job, or for military or other service, in the modern world, it might well be for college. Other than its late summertime setting, and the odd moment when the son in this story is thinking of something he’s read in a book as much as what his father is saying as he leaves, there’s nothing in it that indicates the child is leaving for school. Perhaps the son (or the reader) at the start thinks that such a leave-taking will be the story of “One Summer Morning, Which Isn’t,” but eventually things open to a broader story. Many who read an earlier version of this were puzzled by the title. “Why isn’t it, that, one summer morning?” they ask. I once revised the title to answer the puzzlement, but today’s version instead revises the text of the piece to try to better convey what I wanted to get at under its original title. Even that first morning in the opening is seen from two very different perspectives, and as the story expands I try to show that leaving-takings are, strangely, always present, they are not only a moment or a single day. Am I successful in that effort? I’m not sure. It’s gone through some revisions over six years, and by now I’m not even sure it’s a poem, or if it isn’t more of a compressed short story. Well, the new draft is done, and it’s ready for you to hear it performed. Today’s music is fairly spare: electric guitar, bass, and drums. Yes, that bass line, close but not identical, is meant to remind you of another piece of music, back before Steely Dan. 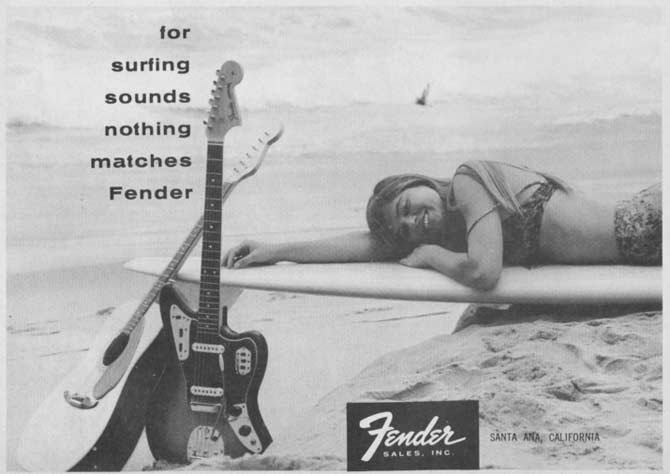 The electric guitar is an inexpensive version of the Fender Jaguar. Just before the 4 minute mark on the track, that weird high wind-chimey sound is something available from its design: notes that can be plucked on the strings between the bridge and the tailpiece. I was reminded of this trick while listening in a car ride with my son when an old Sonic Youth track came on the radio earlier this month. To hear “One Summer Morning, Which Isn’t,” use the player below. Just a few words here to note this. I am not a studied musician or composer, and I’m not even passionately drawn to Bernstein’s own work in these areas. Why I pause to mention him has more to do with the particular role he took in introducing composition to young people of my generation. He did this both with live events (most of which were in cities far from my little rural farm town) and with broadcast shows. He’s the first person who presented himself in greys between rolling bar-lines on my rounded TV screen telling me that actual human beings created these imposing orchestra pieces, and not only that, there were human beings from my own country who did that, and even more strangely, living people who still did this. Why should this have been news? I don’t know for sure. And is that still news, information not yet widely known? I can’t say. But Leonard Bernstein did let me know that, sitting on the the floor of my mid-century childhood’s home. I can still recall him introducing American Modernist Charles Ives’ music to me, so many years ago. Here’s an hour-long TV broadcast from over 50 years ago with Bernstein presenting Ives and his music. Bernstein links Ives words and music together in his explanation. Here is a short piece about an intense memory experience, where you believe you are fully re-experiencing something from earlier in your life. This is not déjà vu, and I don’t even know if there is any similar widely used term with plentiful accent marks over top the letters for this. And since this is a subjective experience, I can’t say for sure how common it is; but for me it happens fairly often. In these moments I’m not merely remembering something, I feel I’m re-living it, with access to the entire sensory experience—but the experience is felt by a mixture of the past me mixed with the present me. This can be pleasant or not, but it always feels spooky to me. Subjectively (there’s that word again) it feels like the nature of time itself is being exposed, that the concept that time passes could be an illusion, that all time is happening now. Or that time may move in a boustrophedon manner wrapping back and forth next to itself. Boustrophedon writing runs left to right, then wraps back right to left and so on “as the oxen turns” when plowing. Conceptually, what if time doesn’t run forward, but wraps back next to itself, or even over itself? Cue the hippy-trippy background music now. Also, be careful about stepping in the bovine exhaust. I suspect some of you are going “Oh wow, that’s heavy.” Some “That’s some mystical B.S. there!” Others may wonder if chemical intoxicants are involved (short answer: nope). Some of you may even be puzzled about what I’m talking about, not having had the experience, or having had it and not stopping to fully encounter it. Still, this is a subject that poetry allows, because, like all arts, poetry is about sharing the subjective human experience. Now-a-days this sometimes goes by the rubric “sharing one’s own truth.” I’m not fond of that phrase, though I believe compassionate people use it with good motives. Somewhere I’ve picked up the first principle of objective truth, even though that cannot be knowable out to all its edges, even if it must be handled with approximations. So, I will make no Blakean claims of mystical revelation with “Summer For,” but you may still find this an interesting experience to share for three minutes, along with some skittering acoustic guitar accompaniment. The player to hear it is right below. The Paris Review recently selected four guest editors, poets who will be asked to help select and present poems during a project in the upcoming year. To introduce their project and these editor/poets, they asked the poets for remarks on “Where is poetry now?” Each of the poets had interesting things to say, but I was struck particularly by part of what Vijay Seshadri said. Seshadri is a contemporary poet of some accomplishments, awards and note, but I had not noted those things, nor could I recall any of his work before reading his remarks. That alone could be remarkable under the subject of “Where is poetry now?”—but let us ascribe that to my own focus and hit and miss reading habits. Seshadri addressed the question I’ve brought up here a number of times: how can or should poetry address political and social questions? Seshadri tells of a recent poetry workshop he taught. He describes his students as “young, sensitive, and deeply empathetic.” Looking to current events in the United States, he asked them “to consider the children in cages,” implying that he would like them to address that with their workshop poems, but he found that they could not do so in the work they presented, at least during the week-long workshop. Another writer could have used this observation as a springboard to that hardy perennial topic: “What’s wrong with the younger generation?” or its broader targeted version: “What’s wrong with our culture or society?” Seshadri didn’t. What did he say instead about why this might be difficult for artists, and what they might do about that difficulty? This is what I present in today’s audio piece, using words of his that I extracted from his remarks. I use as an epigraph a line from one of Seshadri’s poems, and the title I use here, “Poetry vs. Children in Cages,” is my own concoction, but I hope I am being fair to his thoughts. These are important questions. I know many of the readers here are poets or other artists. You may not agree with Seshadri’s thoughts on this, but you are still charged to think about this. Perhaps, like Seshadri’s students, you won’t have an answer in a week’s time, but that’s not a reason to stop thinking and trying to find a way to address our world. To hear my attempt to convey Vijay Seshadri’s thought, use the player below. Musically this time, I’m back to using something like a traditional rock band instrumentation: electric guitars, bass, and drums, but I also made an attempt to use a virtual instrument rendition of a sarangi, which is a Indian sub-continent version of a bowed fiddle with resonating sympathetic strings, conceptionally similar to the Norwegian hardanger. Even in it’s VI guise, I found I had to be careful of those resonances. This blog isn’t really a news source, even if poet Ezra Pound famously said literature (and this can be extended to art generally) is “news that stays news.” And given my age, I could make this elegies all the time, and I don’t want that. But I cannot let this horseman pass by, even though I never saw Franklin perform, even if I (like many record buyers) haven’t gone to the record store to purchase a disk with her face on the cover for decades. You could do that now I suppose, or you could open that glowing palm thing and press to search. What are you searching for? If you’re searching, you must need something. Today’s episode is something of a companion to our last one, what with moths appearing in each. 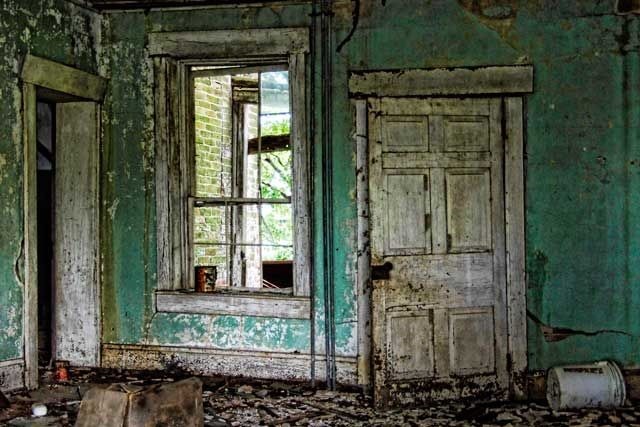 Emily Dickinson’s sister-in-law Susan Gilbert Dickinson let the Book of Job fly in with her moth, and today Thomas Hardy’s open summer window lets in four bugs. Our scene: a summer night, window open, a 19th Century lamp letting Hardy literally and literarily burn the midnight oil. The breeze and light brings on the bugs, and beside the moth we get a daddy-longlegs spider, a fly, and a dumbledore. Besides it making his rhyme, I think Hardy must have liked that charming name for his fourth bug, which is either a bumble bee or a beetle, though either will disappoint Harry Potter fans brought here by a search term. What was Hardy writing when the bugs arrived? He doesn’t say, though of course to be meta, it should be this poem now shouldn’t it—but even if it was some other piece, the bugs interrupt it, marching over his just-penned wet ink and drawing his attention away to their antics. Susan Gilbert Dickinson called her moth “silly” and Hardy has his insects more or less performing a Three Stooges skit bumping into the glass of his artificial light. Susan Gilbert Dickinson wanted to remind us of that harrowing Old Testament lesson that God can crush a human as easily as a bug. She wrote “Irony” and underlined it over the top of her poem’s manuscript. Hardy writes a slightly different conclusion. After watching his fab four beetles make a farce out of replacing the poet on top of his manuscript paper, he ends by declaring that those insects know more about nature than he does. I think that little insect play on his desk reminds him that he, like other poets, struggle to understand and portray nature. Just as the last time I worked with Thomas Hardy poetry, the melody just flowed out effortlessly when I went to set his words. I quickly had the basic vocal and guitar track, and then added a couple of cello parts and an additional guitar melody that followed what I had so easily fallen into as I sang Hardy’s words. 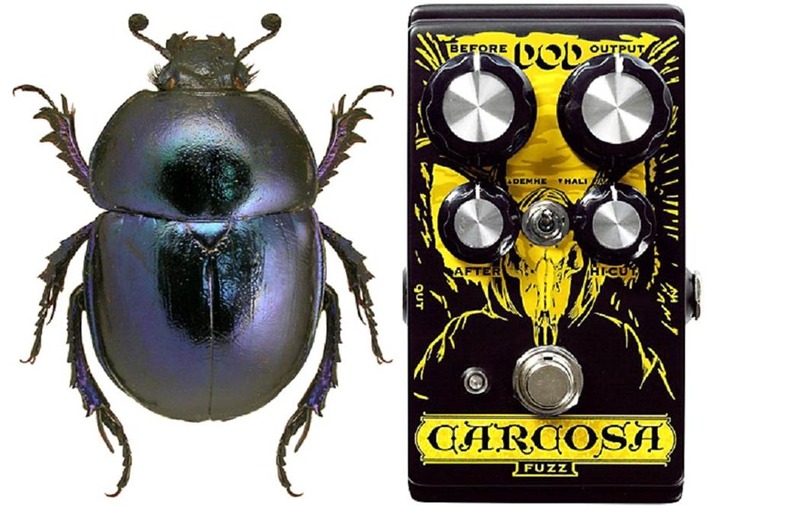 That electric guitar melody line uses a DOD Carcosa fuzz pedal which I’ve been using a fair amount here lately. It’s a very flexible effects pedal, but I won’t interrupt this with any more guitar nerd material than that tonight. To hear my performance of Thomas Hardy’s “An August Midnight,” use the player below.